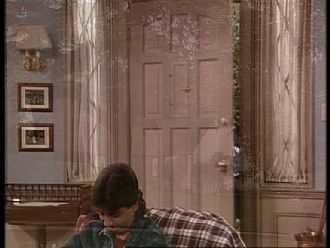 Compared are the cut episodes on the US DVD by Lions Gate/FOX and the uncut episodes on the German DVD by Warner Home Video. 5 cuts = 56,5 seconds. 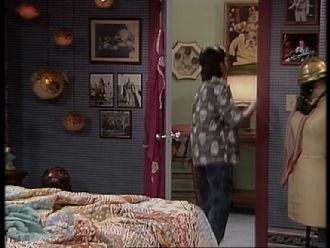 Some more dialog during the discussion about who is sleeping in Brian's room. Lynn: Just don't snore! It's like sleeping with a buzz saw! 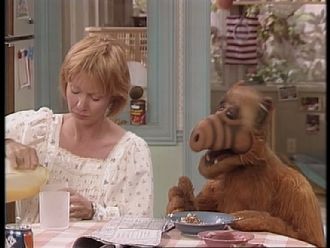 Alf: I'll trade you! I'll sleep with the buzz saw, you sleep with the lawn mower! Brian, Lynn and Willie are walking out of the house. 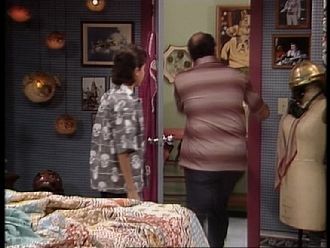 The US Version is showing Katherine and Trevor walking into the other room. 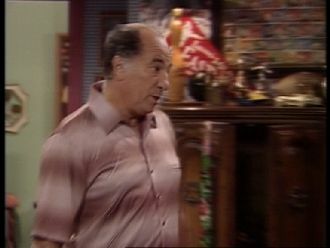 After Trevor has left the kitchen, Alf enters. 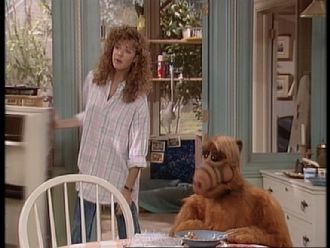 Alf: I say we lock the door, throw away the key and move! Katherine: I assume that we have you to thank for this mess! 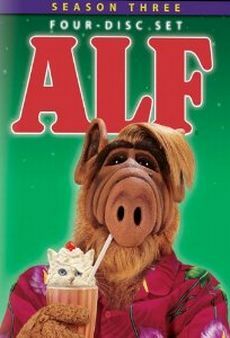 Alf: Hey, it was time for my bimonthly feeding frenzy! Except, he interrupted me! So this one doesn't count, okay? 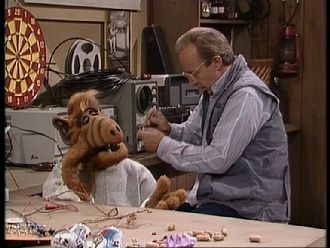 Alf: Yeah, but this one doesn't count! 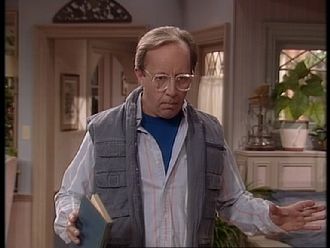 Katherine: Brian, how come you're not dressed? Brian: I was to tired! I didn't get any sleep! 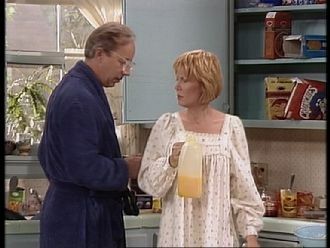 Lynn: Yeah, we kept on hearing Mr. Ochmonek moaning and groaning: "Ugh, how could Raquel do this to me?" 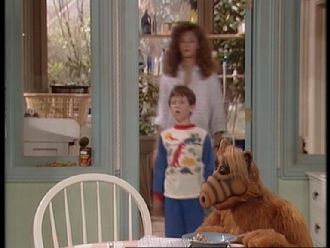 Alf: Actually, that was me! Brian: You kept singing "Swing Low Sweet Chariot"? Katherine: Look let's all just be patient! It's only been one night! 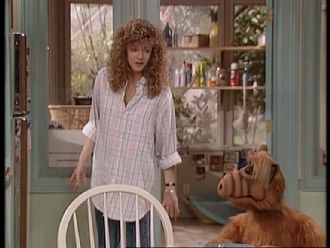 Alf: Yeah, one night and we're already at each other's throats! Katherine: We're not at each other's throats! 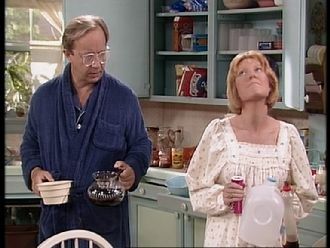 Willie: Get back to the garage! 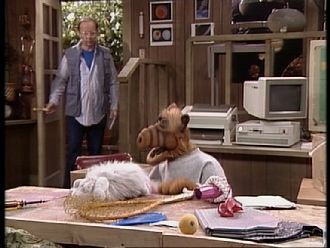 Alf: Well, who do I see to file a grievance? 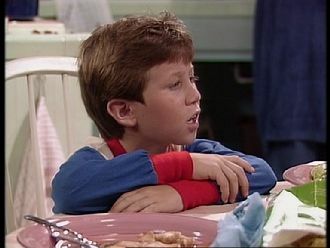 Willie: The Alien Task Force has a grievance committee! 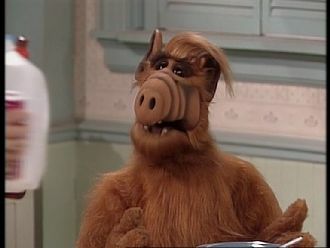 Alf: I withdraw the question! 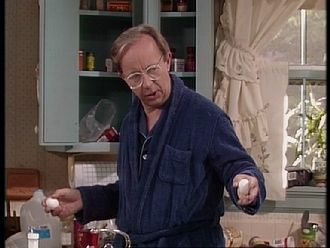 Alf leaves the kitchen and Willie is still gazing at him angrily. Die US-Einstellung zeigt stattdessen eine Außeneinstellung von dem Haus. 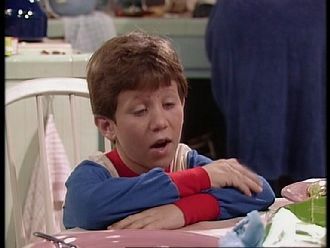 After dialing the number, Alf speaks: Hello, is this Myrna Byrd? 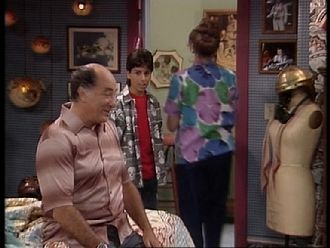 After Raquel has left the Tanners' house because of Alf, Willie talks to Katherine: Slowly, I turn! I'm going to the garage now! I'm gonna have a word with the town crier! 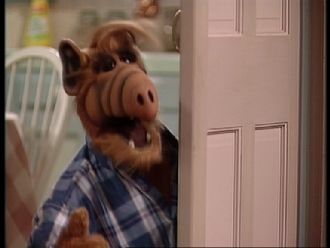 He then slowly walks towards the garage, where Alf is. 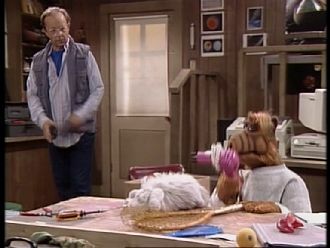 The camera then fades over to Alf singing at the workbench. 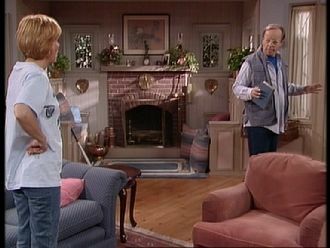 Willie enters and walks towards him. The US Version shows an exterior shot of the house instead. 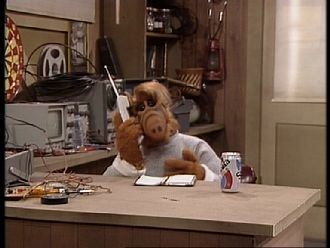 Alf is on the phone again after Willie has left the garage. A part of the call has been removed. 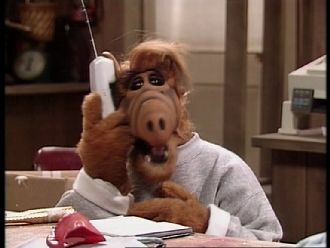 Alf: (Hello? 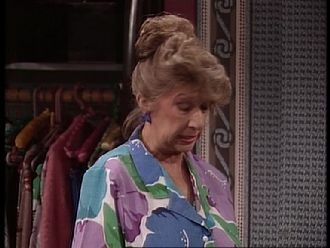 Uh, I'd like to order some flowers for a Raquel Ochmonek!) I don't know, whatever Merlin Olsen would send! Alf is sitting in the garage with Willie and sings "Swing Low Sweet Chariot". 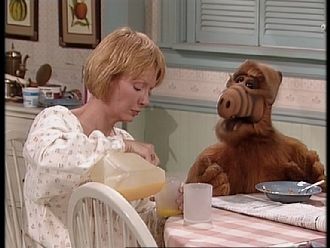 Willie: Alf? 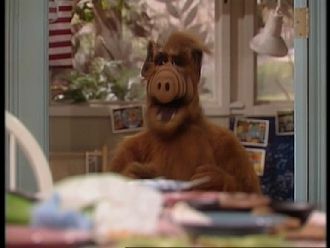 Alf? Did you know that Shakespeare said once that: There is nothing either good or bad, but thinking makes it so! 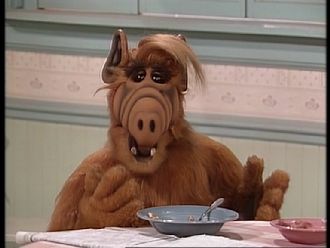 Alf: Shakespeare never slept on a cold cement slab! 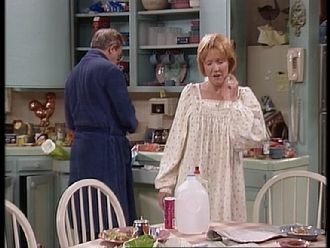 Raquel: Well, I guess times have changed! Trevor: Does anybody really know What time it is? After Raquels and Trevor's reconciliation, Raquel leaves the room. Trevor happily says, Oh, I missed you, Raquel! You're a hard habit to break, and walks behind her.